Home > Devices > What’s the Difference Between a Wi-Fi Extender and Mesh System? What’s the Difference Between a Wi-Fi Extender and Mesh System? Mesh network systems are a great way to fix dead spots in your home. But how are they different from range extenders, and are they worth the extra cost? When you install a range extender, it communicates directly with your router and re-broadcasts its signal, often as its own, separate Wi-Fi network. That means you end up with two networks—like "SmithHouse" for upstairs and "SmithHouse_EXT" for downstairs—and your devices will often stay on one until it's completely out of range. That means you'll still have slow Wi-Fi at multiple points in your house unless you manually switch back and forth between networks as you move around, which is a huge hassle. Repeating the entire Wi-Fi signal is also inefficient, explains Nick Weaver, CEO of Eero, which makes mesh Wi-Fi systems. "All it's doing is listening to every packet, and rebroadcasting it. It's not selective. Say you took a speaker, and you hooked a megaphone up to it that amplified the audio. Now what if you wanted to amplify it if only a Talking Heads song came on, and nothing else? Extenders don't have that kind of logic." You can buy a range extender from any manufacturer—it doesn't have to be the same brand as your router. However, while this may seem nice, it causes more hassle than it solves. "The addition of a range extender can cause bandwidth bottlenecking, largely due to the router and the range extender using different technology from multiple manufacturers," explains Karen Sohl, spokesperson for Linksys, which makes traditional routers, extenders, and mesh systems. In addition, she says, the Wi-Fi bandwidth is cut in half when you use an extender. "Wireless is shared bandwidth and is half duplex. This means you can't be sending and receiving at the same time," which can cause slowdowns. Lastly, managing these systems is often a pain. Most routers require you to go to a web page to alter settings or download updates, and if your extender is from a different brand, you'll be dealing with two sets of software. In a lot of cases, that software can feel a bit complex and archaic, too. There are exceptions to all of these points, of course. Some range extenders have more modern software, and can overcome some of the bandwidth issues when paired with routers from the same manufacturers that are designed to be used together. But there's no guarantee you'll be able to do it with your existing router, and at that point, the line between extender and mesh system gets a bit blurry. If you do opt for a range extender, PCMag's top picks are the Amped Wireless Athena-EX High Power AC2600, the Netgear Nighthawk X4 AC2200, and the TP-Link AC1750. Unlike an extender, which you can add to an existing Wi-Fi network, mesh systems are typically complete replacements for your home Wi-Fi. You can use them in tandem with your current router, but there's usually little reason to (unless your ISP requires it, like AT&T U-Verse does). They're designed to replace your complicated router-and-extender setup with multiple identical units placed around your house, which create a large blanket of Wi-Fi coverage. Because they're designed to be used in tandem, they have some advantages over traditional extenders. They don't create a separate network, so wherever you go in your house, you'll always be connected to the nearest node automatically. The handoff is much more seamless. Furthermore, because mesh units are all running the same software, they're able to use more complex logic to send and receive traffic. "If you have two Eeros," explains Weaver, "that second unit is only going to rebroadcast if the client device is connected to it. To do that, you need to have a router that sends packets to the right path, and with extenders that just doesn't happen." Mesh systems can overcome the "half duplex" problem by using multiple radios to send and receive information simultaneously. Put simply: With mesh networks, you'll have less congestion, better speeds, and less hassle connecting to the Wi-Fi as you roam around the house. Finally, setting up and managing your network is much easier with modern mesh systems. Instead of dealing with multiple configuration pages, you can manage the entire network from one user-friendly smartphone app. Many mesh systems also update their firmware automatically, which is a huge step up over most routers, which require you to check the manufacturer's web page for updates, download a file, and send it to your router manually. "When we update a system, we update your whole network," says Weaver. "If you have a traditional router, the chances of a user updating that router are close to zero. And then you get an extender, and the chances of someone updating that extender are even closer to zero." With an all-in-one mesh system, you're more likely to get regular updates, which improves usability and security. That's huge. 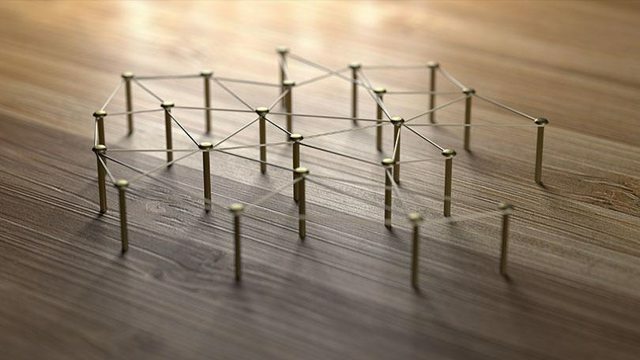 Mesh networks are becoming more and more common—and affordable. At PCMag, our top picks are the Linksys Velop, the TP-Link Deco M9, and the Netgear Orbi High-Performance AC3000. You can also look for refurbished units on Amazon to save money. In addition, the Wi-Fi Alliance has created a new standard called EasyMesh, which allows you to create a mesh network with multiple routers from different companies, rather than staying locked in to one company. There aren't many routers available with this tech just yet, but if it catches on, that could give users the best of both worlds—the flexibility of extenders with the efficiency of mesh systems. It is fair to share..
Is the business-IT gap intentional? Know the history of computer virus..
iPOTT.me is a search & discovery website for technology products & services. On iPOTT, products & services can be searched, discovered, downloaded, purchased etc. Companies & individuals (Promoters) who own IT products or services can register on iPOTT to use the services. Copyright 2008- 2017. © iPOTT. All rights reserved.